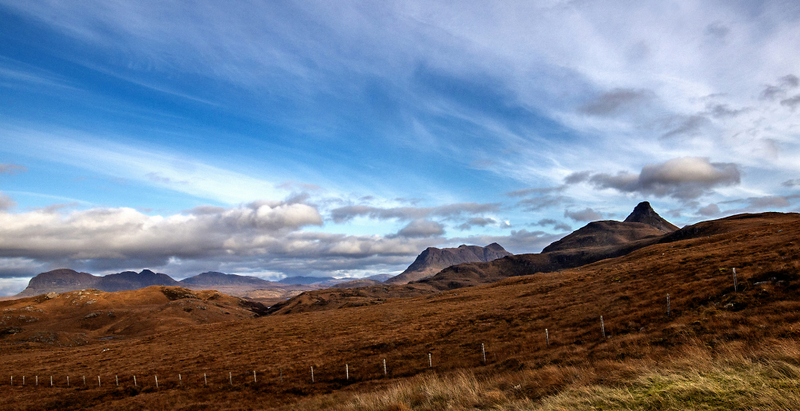 The mountainous area beyond Ullapool in Scotland's far north west has an amazing landscape of peaks and lochs. Not the highest mountains in the Highlands but among the most spectacular. From last month's trip up there. Wonderful mountainscape in autumnal colours with interesting cloud formations in great light!